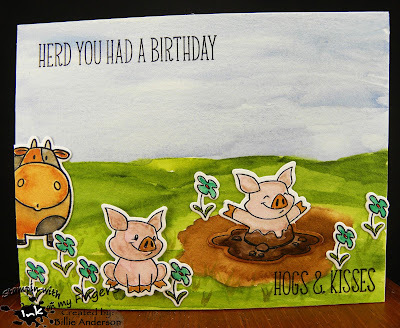 I got this fun pig stamp set from Sugar Pea designs quite awhile back. at least a year ago.. I love these cute little piggy's and dies.. So now I just needed to figure what I wanted to create. I started by inking up the pigs and flowers. I colored with Mission paints and die cut them out.. 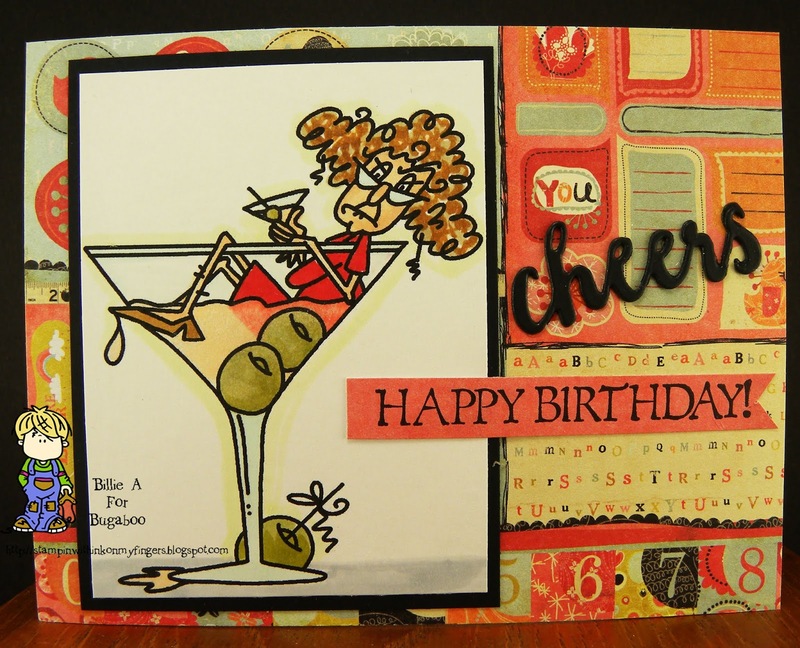 So when I was laying the images down on the card base I was trying to figure what else to do.. So I took my Mission paints and made a larger mud puddle for the pig to sit in and green acres.. and blue sky. now I liked it.. 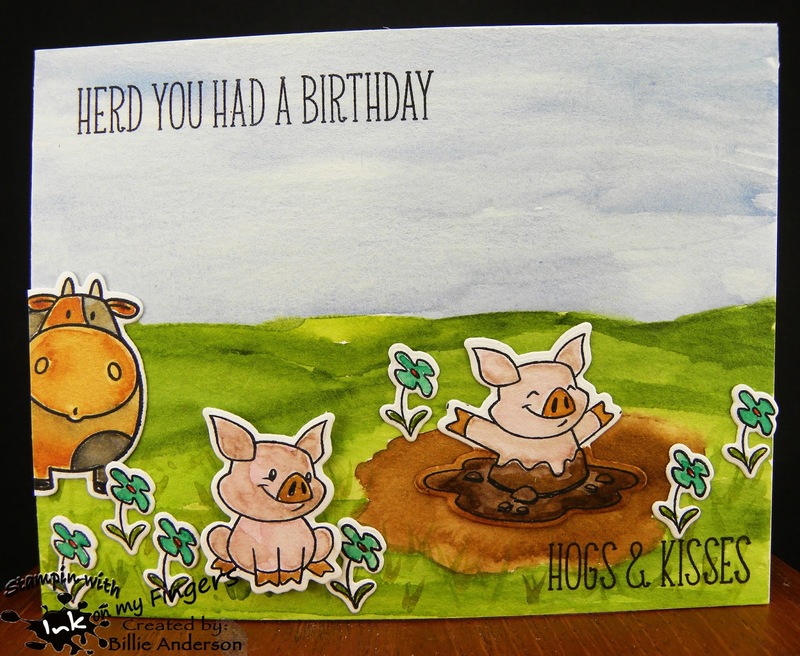 So I added the pigs and flowers ... it was still missing something so I have this cow that is in My favorite things stamp set so used this and the sentiments. I love the fun feel this card gives. 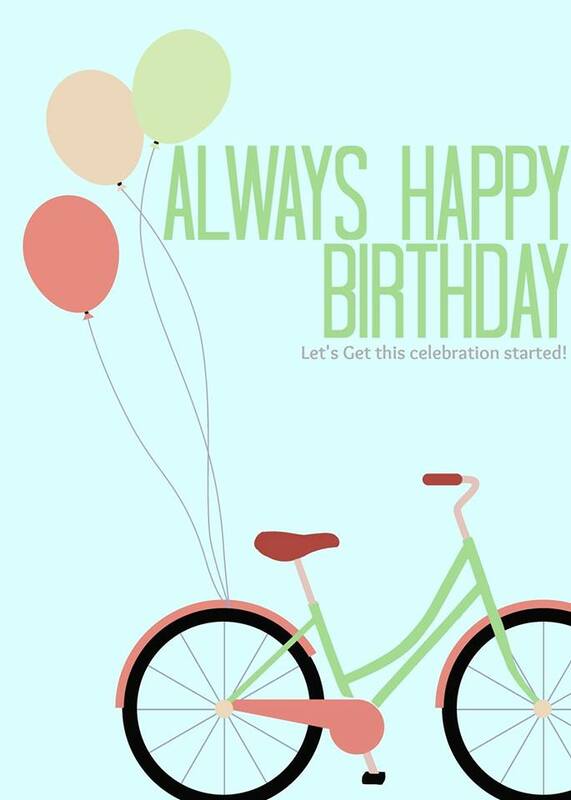 If you've been playing along, you should have a pile of birthday cards.. minus the ones you've sent out. I know it's so nice to have a card ready when I need it and I have a pretty good stash making two month. 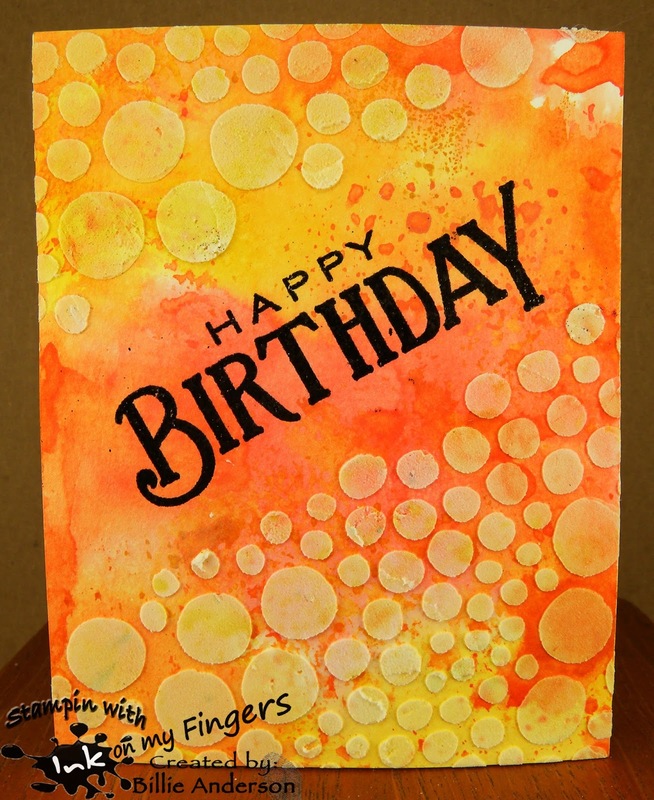 Well for my card I started by using Ranger inks and smooshing the water color paper in it. I heated and applied again and again till I got the look I liked. 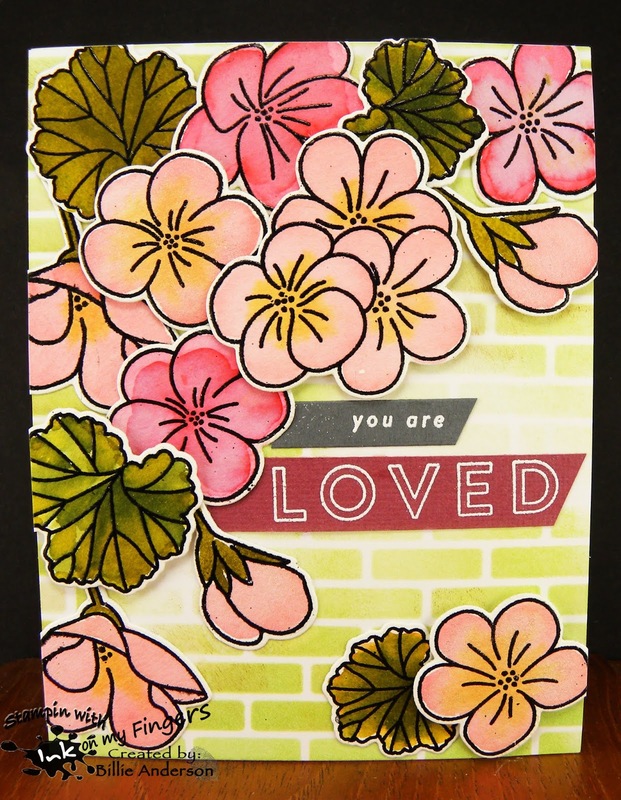 I then took my Texture paste and a stencil and added this to the card for the texture part of the challenge. 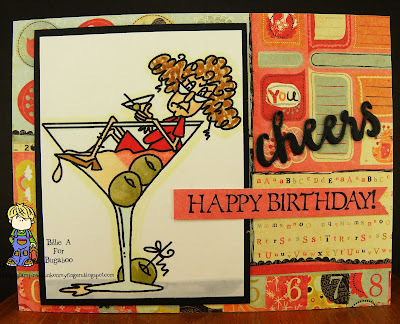 Once dry I took the Happy birthday from Paper trey ink and heat embossed it black. I love the contrast. This is such a summery card. Perfect for that summer birthday person.. or just to brighten up a winter birthday.. These colors remind me of sherbet ice cream.. yumm glad I like ice cream year round. Where did September go.??? I know it was busy.. How did I do everything when I worked.. I am loving my retirement life. It's coming to the end of two years. I don't miss work at all.. Well some of the people.. but not the work. Check out the design teams creations.. 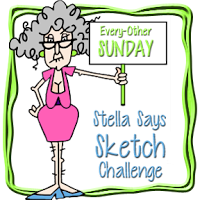 This is the simple sketch.. Can't wait to see what you create. 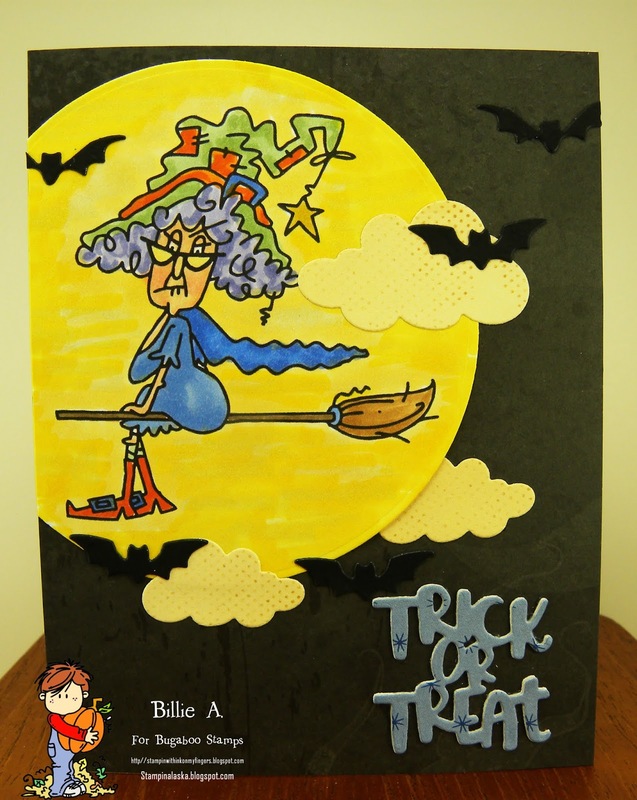 I am using a dark gray card stock. 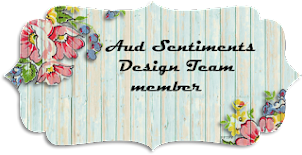 I used Simon Says stitch dies and created the frames using Quick quote scraps. I then cut the images out.. The top Bugaboo male image is Crabby Dog and the girl is Funny pup 2.. 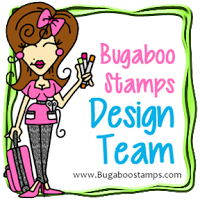 They can be found in the Bugaboo store. I added the sentient from My favorite things and heat embossed.. I then added some Simon says hearts and added glossy accents to them. I added a red gem to the male dog collar and a orange gem to the female dogs flower. The dogs are colored in copics.. I loved the sentiment and the dog facial looks. 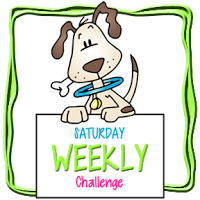 Welcome back to another Saturday challenge at Catch the bug. This is my card. 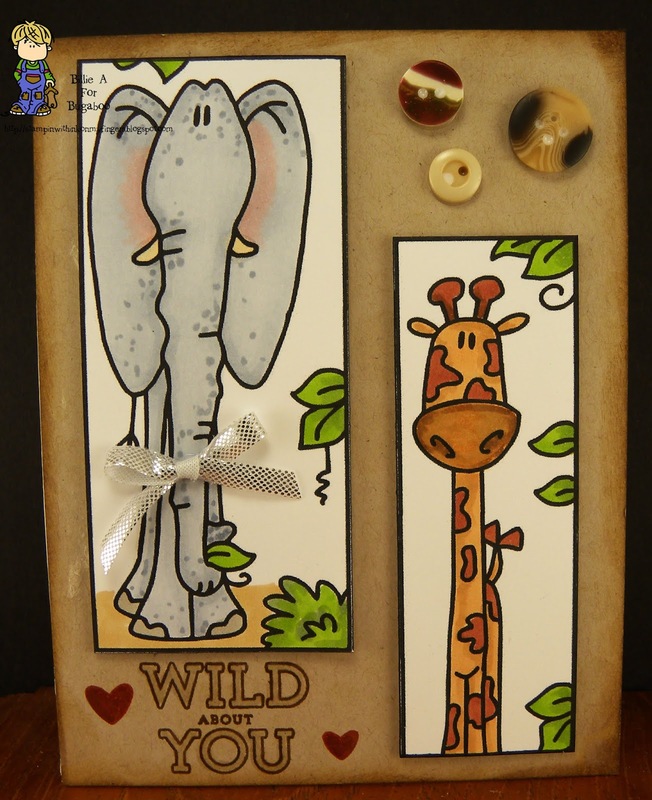 I chose the elephant and giraffe from the Tall jungle block images. I started with Kraft and a circle stencil and went over the kraft with Versa mark. You can barely see it the circles.. I then went around the edge with Ranger ink to distress it. I then used copics to color the images. So those are the two images.. Now where to use the ribbon.. well the sentiment from Simon says is about being wild about you.. so that means love. so I made the elephant female and tied a bow in an awesome silver shinny ribbon and added it so it looked like the ribbon was tied around the trunk. I then added 3 cool looking buttons to finish the recipe. I used Stampin up ink for the sentiment and hearts. I used Versa mark brush in the center of WILD and YOU. then went over that with Spectrum Noir sparkle pen. 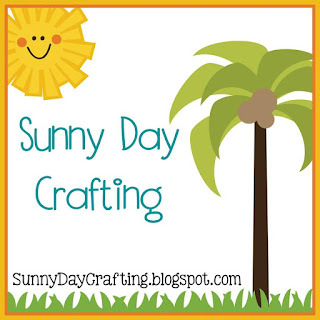 I am using another piece of the one sheet wonder 12x12 cut. 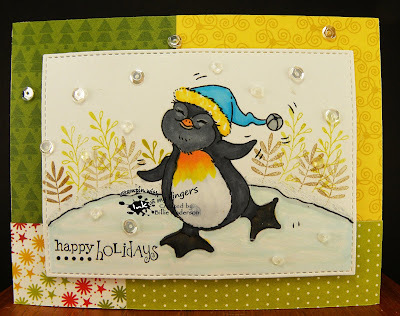 I added this to the card base then I used the black and white stripe washi tape and added three strips. 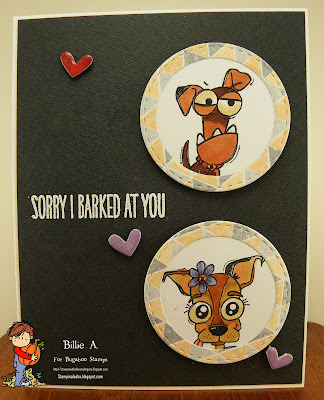 I took a Paper Pretty sentiment and stamped the I'm sorry all in the open space. I though this went well with the flower puppy image. He looks like he's sorry.. I colored the image with copics and used My favorite things stitch die. I finished by adding some sequins. . 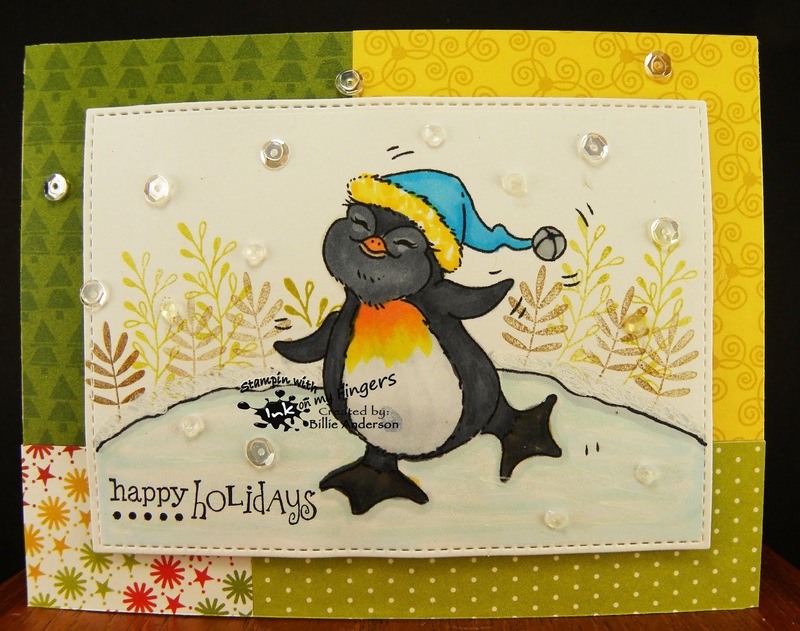 I am using the image called Dancing Penguin.. on a hill.. I didn't want him on a hill so I took a sharpie and extended the hill to a pond. I used copics to color the image and pond. 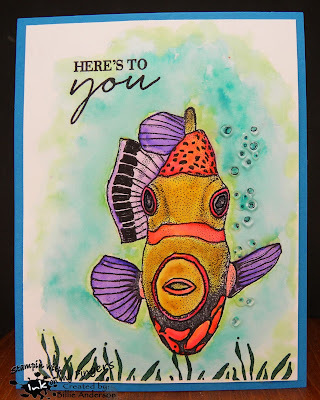 I used Spectrum Noir sparkle pen on the pond. I took Stampin up ink and Simon Says leaves and made winter twigs for the background. I stamped Taylored Expressions sentiment. Then cut the image out with Lil Inker stitch die. 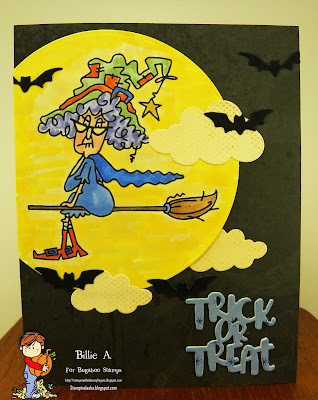 For the card base I used some Bella Blvd. designer papers and adhered them to the A2 base. I added the image on foam and then completed with sequins. 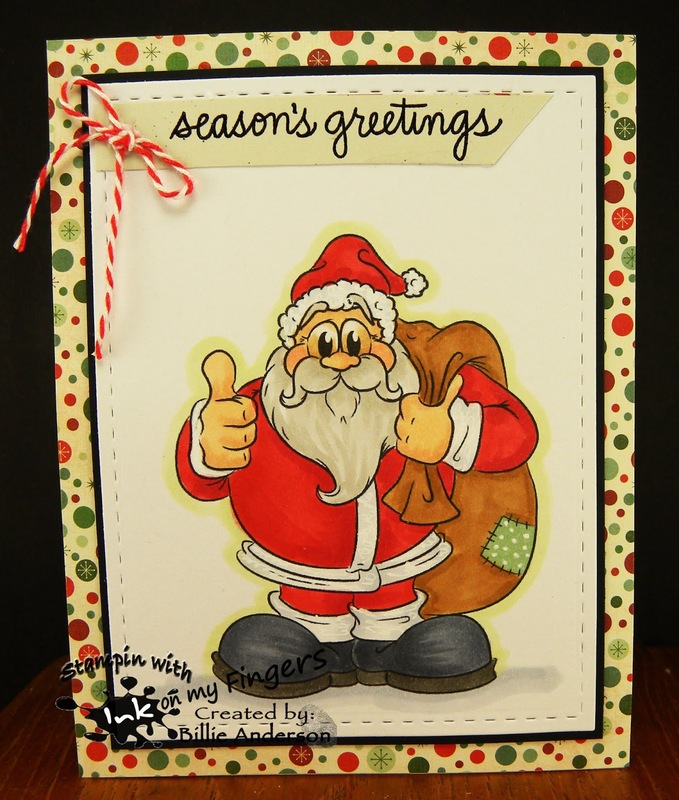 I am using the image called Simple Santa.. I love the thumbs up.. I kept this pretty simple, after all he's Simple Santa..LOL. I colored the image with copics. Used Lil inker stitch die. 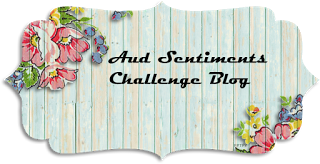 I added an embossed Simon says sentiment and tied a bow in the twine and added this to the sentiment. I finished with a little white gel pen to the fur, trim and patch. Well I am back showing a New Release (kinda) from Bugaboo.. It's an older one but it's that time of the year for this image. This is Stella Witch Society... 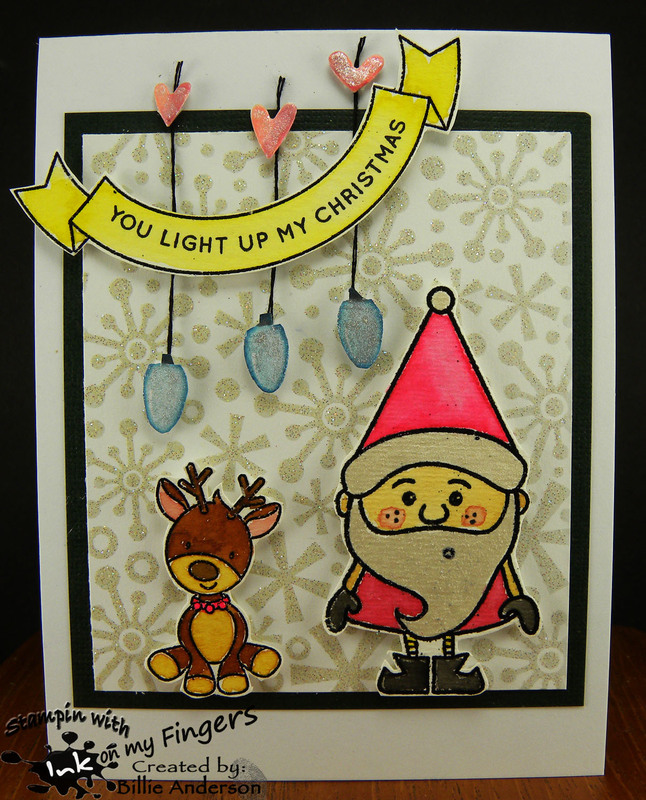 I started by using a piece of Recollection paper and then I used a My favorite things circle die and cut Stella out. I colored her with Copics and then colored the background with copics too. I went over the yellow with Wink of Stella. I adhered to the black base. I then used Taylored Expressions clouds and scraps. I did some bat that are from Newton's Nook. Aren't they cute. I hope you get a chance to pick up this awesome stamps. Who doesn't love Stella. This is my card. I went with the colors vs. the images. I used Stella peeker another drink. I colored the image with copics. I then found some Prima designer paper for the background. I die cut the Reverse confetti Cheers a couple times and layered them. I stamped the Happy Birthday.. from Club scrap. I went over the image with Spectrum Noir sparkle pen. Crazy 4 challenge #453 - happy birthday with a number on it. 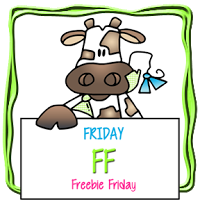 It's Friday over at Bugaboo we have a free image.. This image is Sunflower vase.. I love the orange sunflowers against the purple vase. I colored with copics. I then used Simon Says hello die and layered it 4 times. I added the SS sentiment and heat embossed in white. 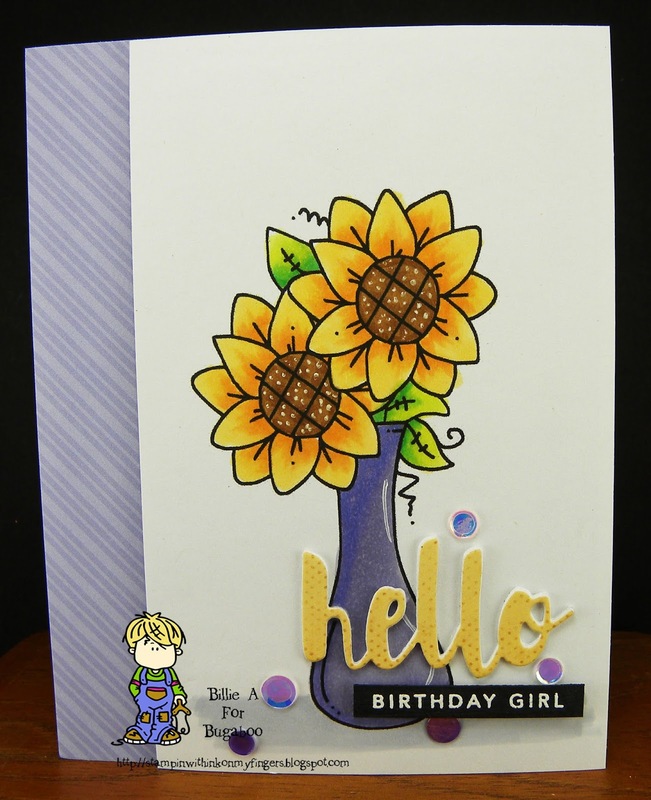 I added a piece of purple designer paper scrap to the left and added the sunflower piece to a piece of foam so it's layered. I then added a few sequins. I added a few white dots to the center of the flowers and a highlight to the vase. 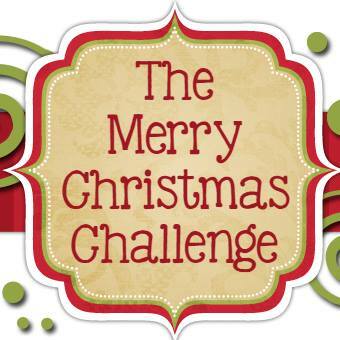 we're a coloring challenge. So no pre colored images. I am using the image called Urban/Modern boy.. 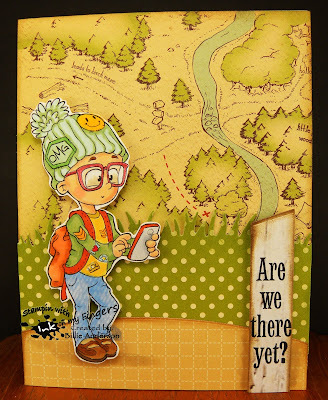 I thought he looks like he's out hiking so I used October Afternoon papers. I used Lawn Fawn grass die, Simon Says mound die. I fussy cut the image out and colored with copics. I added a little Spectrum Noir sparkle pen to his lens and back of his phone. Last month hubby and I took a trip to visit my daughter.. I heard this sentiment a lot.. LOL. they thought it was funny and obviously brought back childhood memories. I used My favorite things banner die to cut it out. I thought it looked like a post. Yesterday Sept. 18. was National Respect Day.. so I found this fun sentiment on the internet and used it and found this fun Bugaboo pig called OINK. 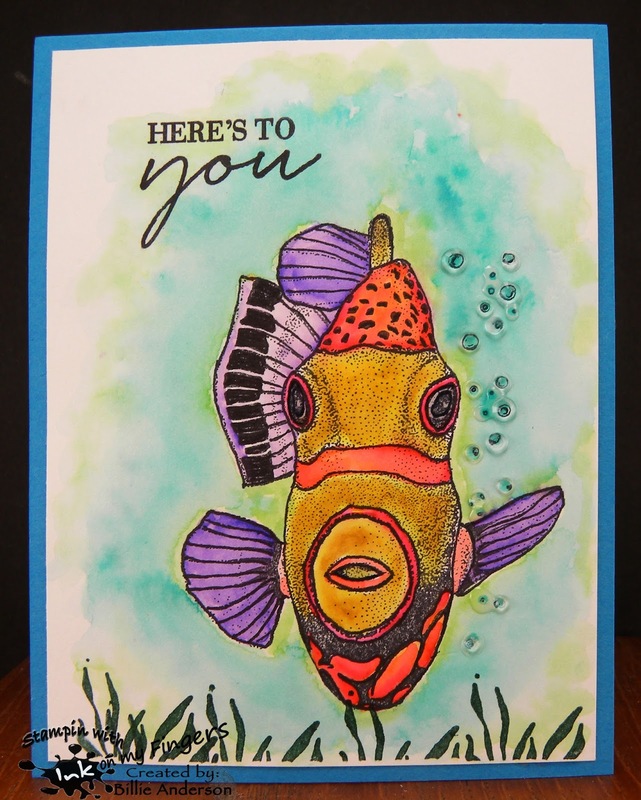 I used copics to color the image and My favorite things circle stitch die. I added some Washi tape and cut it into banners. I then cut a banner into the sentiment. 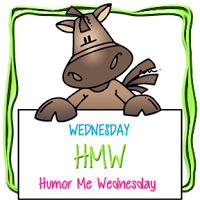 Fun funny card.. perfect for humor me Wednesday. 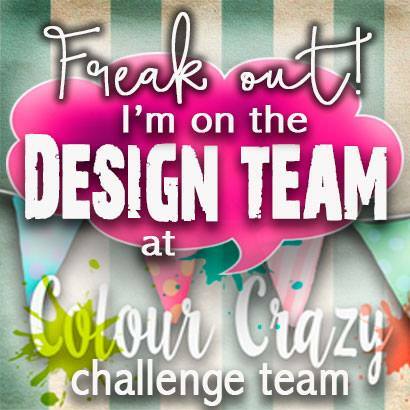 Check out the design teams creations at Catch the bug. 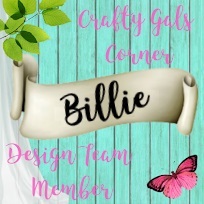 This is an oldie image that no one has used for some time and with Jodie still working on the store she thought it best to show the fun cards that can be made with this image. She's CCPC.. Crabby Cathy PC is her name.. I used some scraps from Basic Gray and Teresa Collins and just pieced a background. I then colored the image with copics. The top left hand corner looked so bare so I cut it off and used Washi tape to tape it down so there was some texture to it. Awhile back ..quite awhile back I created a bunch of background pieces on glossy card stock using Ranger Oxide inks. Smooshing and letting it dry then buffing off the dull to get the glossy back.. Well with the theme being fall colors I decided to use this one. 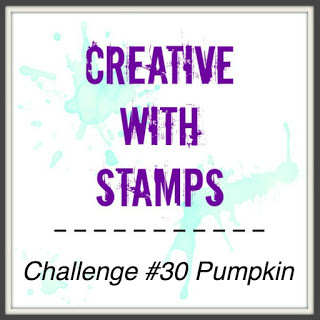 I then took Stampin up inks, stamps and dies and created the leaves. I used My favorite things hello die and cut three layers of white and one of black.. as I was trying to add the black it just wasn't lining up as I wished so I offset it so the white showed.. Got rid of the headache of trying to line them. 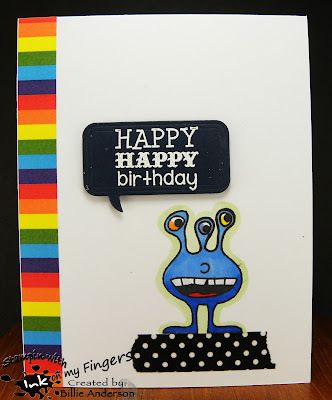 I then stamped Simon Says friends and using Zig markers colored in the letters. I used Ranger ink to go around the piece to distress the edges. I then layered the leaves and sentiment. I added some Spectrum Noir sparkle pen to some of the leaves and hello. I finished with some sequins. 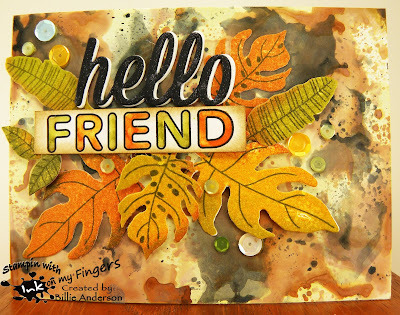 I like this card BUT I am not READY for FALL!! So I wanted to create a fun theme. I used my ground and sky templates and created the scene with Ranger inks. 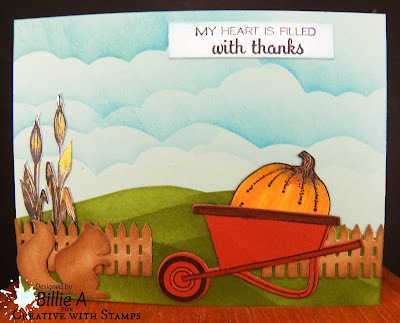 I then used Taylored Expressions fence die and wheel barrow / squirrel / sentiment and again I used the pumpkin (as I did on my first card) and I used a corn stalk and fussy cut them out. I don't know who those are by. I colored with copics. I went around the fence and squirrel with Ranger inks. Welcome to challenge at Creations in Pink . Did you have fun looking through your paper stash, figuring what to color pink.. just doing a geometric image with pinks? try painting or fun images in pink? .. I am looking at pinks with a new eye.. 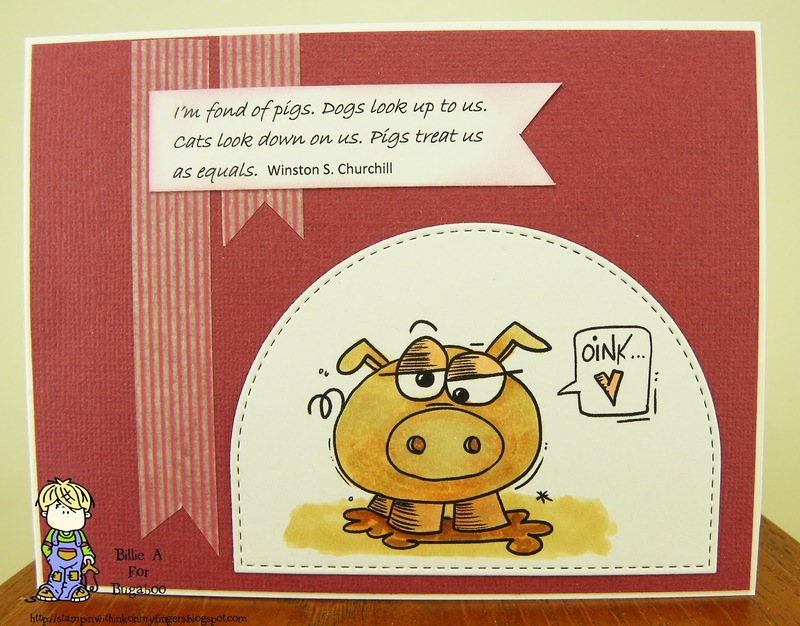 I stamped Pretty Pink Posh images and used Ranger and Stampin up re-inkers to paint the images. I used My favorite things brick stencil and Ranger ink to create the background. 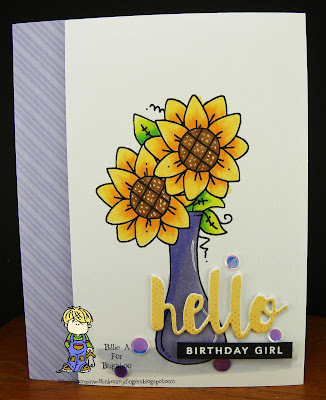 I added the flowers/leaves and then stamped and embossed the Simon Says sentiments. 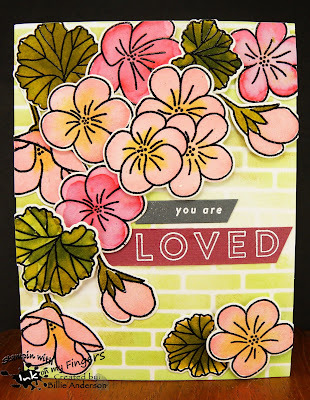 I used Wink of Stella on a few of the flowers and center of the LOVE letters. I love this stamp and have used it a lot over the years. I wanted to do a cool water looking background... So I grabbed this OLD wood block stamp from Embossing arts company. I stamped it on Bristol card stock. I then used Zig markers to color and used a paint brush move the color around. I did the same to the background water look. 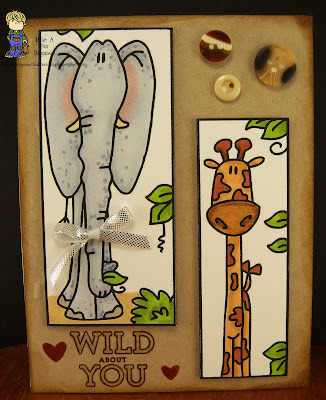 I used another old wood stamp from Rubber seed which is the grass and I used Stampin up ink for the grass color. I also used a SU sentiment. I added some sequins and glossy accents for the water bubbles, lips and eyes. This is my card. I had another background going but I did not like what I was trying to create so went with this layout instead. I am happier. 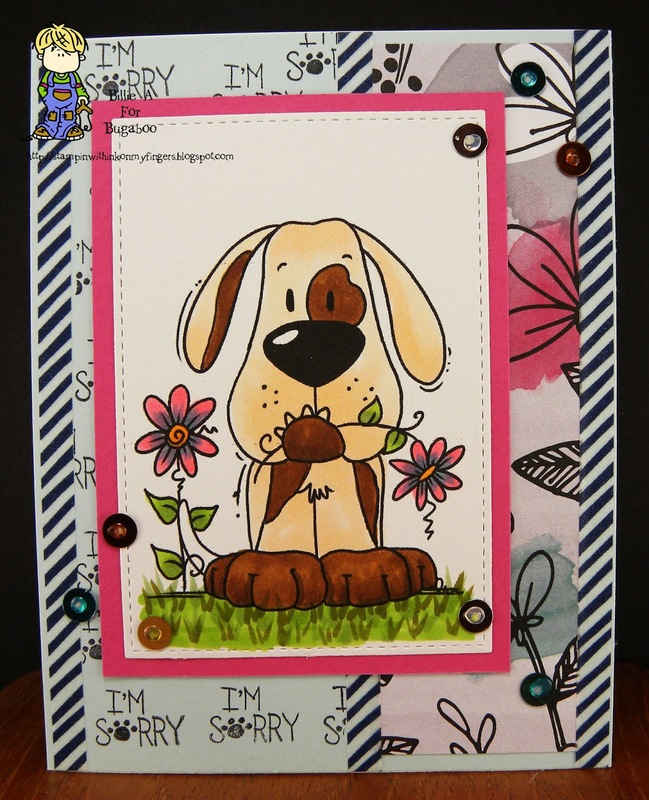 I stamped the images from Simon Says and then colored with Mission water color paint and Kuretake white. 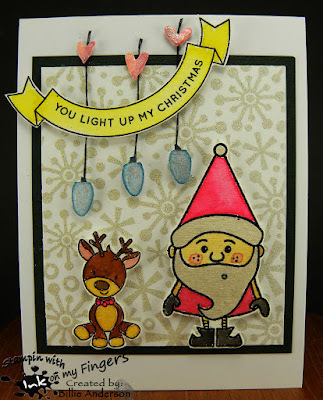 I colored the Christmas blue lights from Paper Trey ink and hearts by Simon Says with copics. I added a little floss to the lights. I added some Spectrum Noir sparkle pen to the lights and hearts. I fussy cut everything out.